Alas! The drunken, muddled words you forgot you said (or wish you could forget) were picked up by barhopping eavesdroppers and are collected here for all to see. The drunk dials, teary-eyed confessions, incoherent warbles, and slurs of the pseudo-intellectual, sexually ridiculous, and pleasantly random are Things Drunk People Say. This is a collection of sometimes crass, mostly offensive, and always revealing drunk quotes ranging from the tipsy to the moderately intoxicated to the fully inebriated. It’s like a wild night out with your friends finally put down on paper. Each rambling is another uproarious encounter with the confused spattering of a girl at the bar or the stumbling bro sputtering nonsense because he just got kicked out, and each one ends in hilarity. These pages are a visual playground for the boozing social butterflies of today’s world. If you appreciate laughter, debauchery, and not taking life too seriously, you’ll need this book. 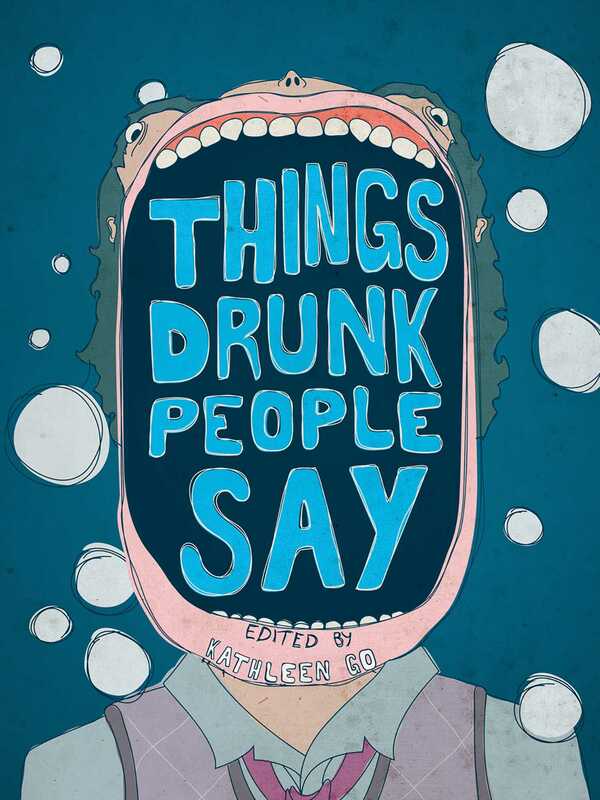 Things Drunk People Say is a lighthearted page-turner and a staple of any coffee table. Endlessly relatable in its perfect vulgarity, it can make you wistful for those aimless nights of partying and those moments of drunken clarity when gems like these escape our typical filters, reminding you . . . we’ve all been there.